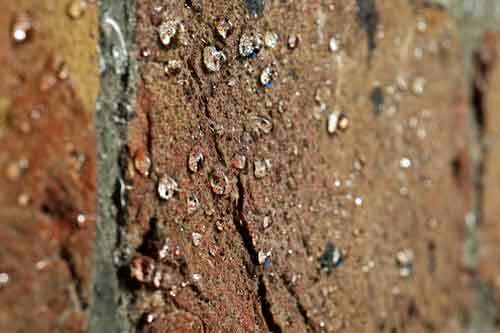 Stormdry is a deeply penetrating water repellent cream for brick, stone, and concrete. 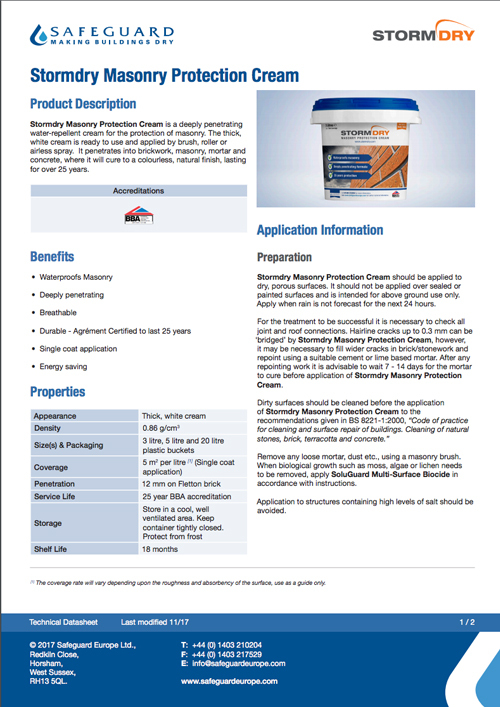 Due to its cream-based formulation it is able to penetrate more deeply into masonry than standard liquid-applied water seal products. 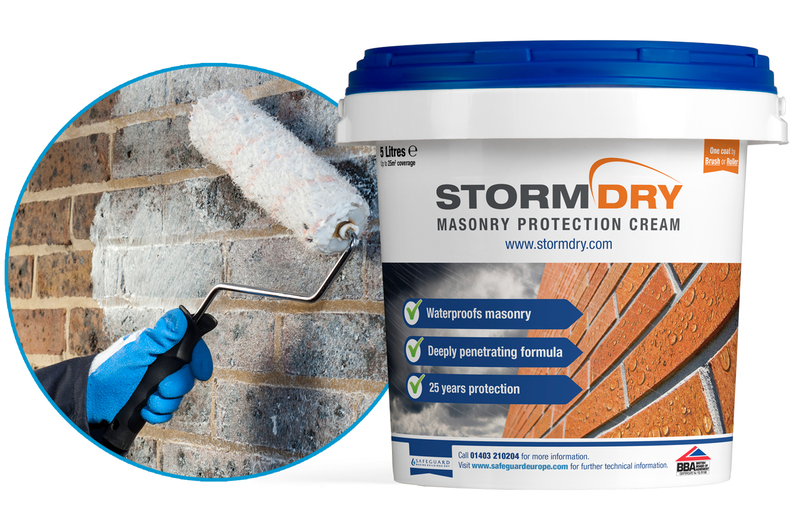 Stormdry ensures that the masonry remains dry throughout the year – maximising its thermal resistance or "R" value. 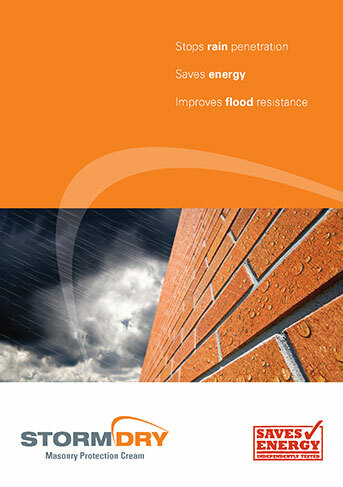 Stormdry is verified by the Energy Saving Trust. Dry walls are better insulators than wet walls. 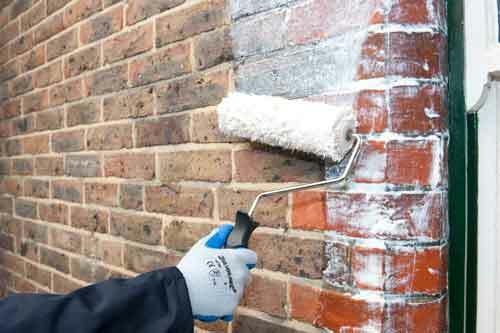 Stormdry should only be applied to dry, porous surfaces. It should not be applied over sealed or painted surfaces and is intended for aboveground use only. Only apply when rain is not forecast for the next 24 hours. For the treatment to be successful it is essential to check all joint and roof connections. 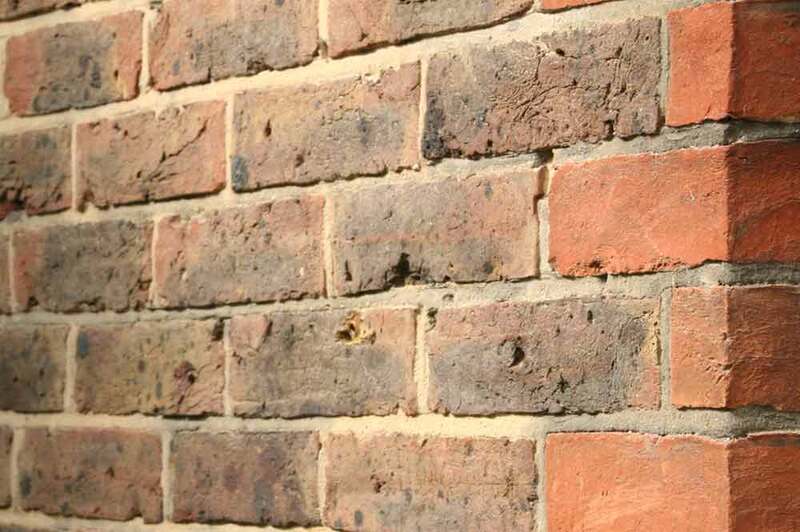 Hairline cracks up to 0.3mm can be ‘bridged’ by Stormdry, however, it may be necessary to fill cracks in brick/ stonework and repoint using a suitable sand/lime or sand/cement mortar incorporating Stormdry Repointing Additive. 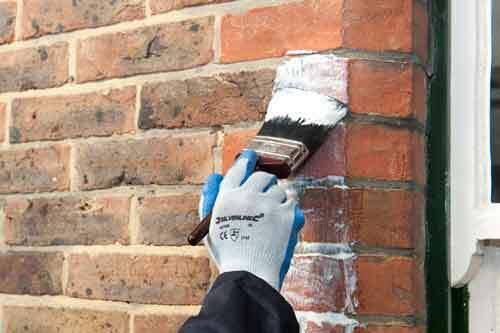 Dirty surfaces should be cleaned before the application of Stormdry Masonry Protection Cream to the recommendations given in BS8221-1:2000, “Code of practice for cleaning and surface repair of buildings. 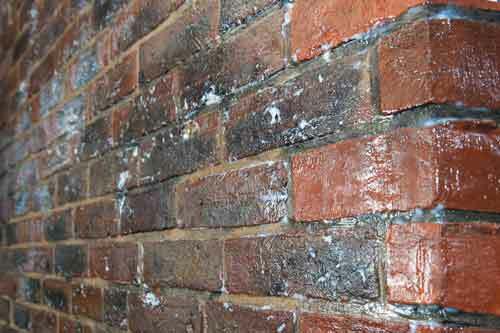 Cleaning of natural stones, brick, terracotta and concrete.” DO NOT USE DETERGENTS. 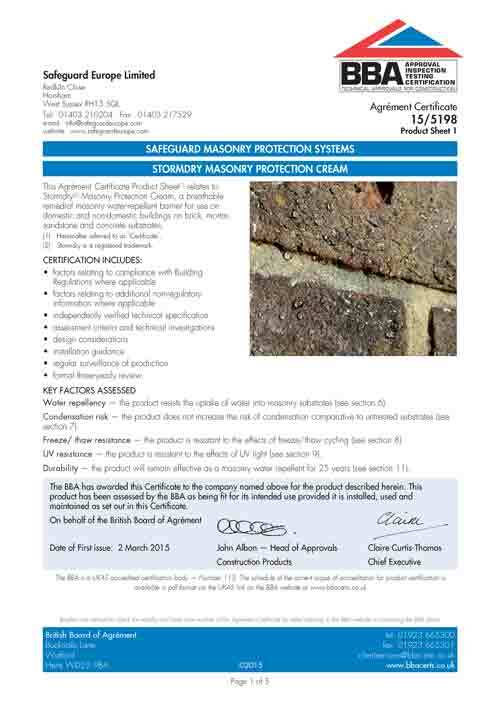 Application to structures containing high levels of salt should be avoided. 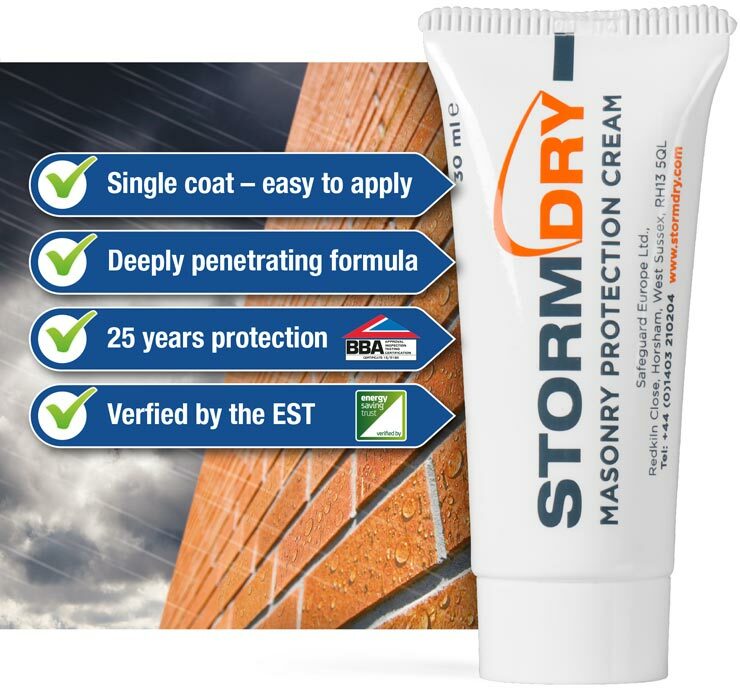 Stormdry has been formulated to be colourless once cured. However, very slight darkening may occur when it is applied to some substrates. Although this will usually fade over time, a small, representative and inconspicuous test area should always be treated before full treatment begins. 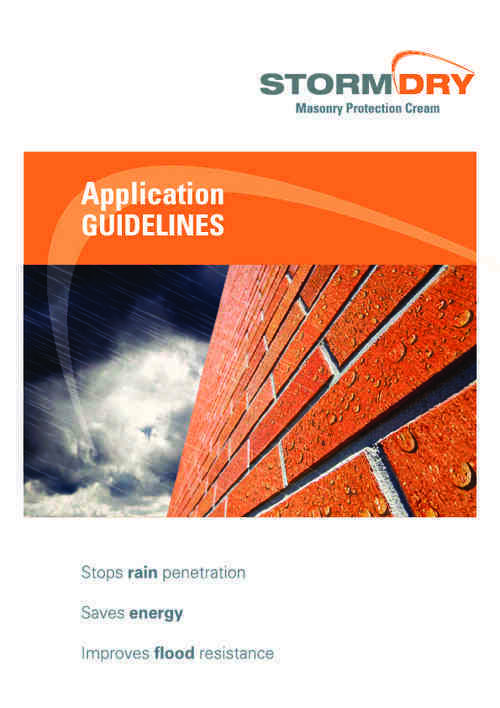 The masonry will be resistant to light rain after two hours.